It's always nice to have something in the freezer that can be pulled out and turned into dinner quickly. Meatballs are a great option to have stashed in your freezer. You can make a big batch at once and freeze them in dinner-sized portions. And, you don't need to limit yourself to spaghetti and meatballs when you do pull them out. 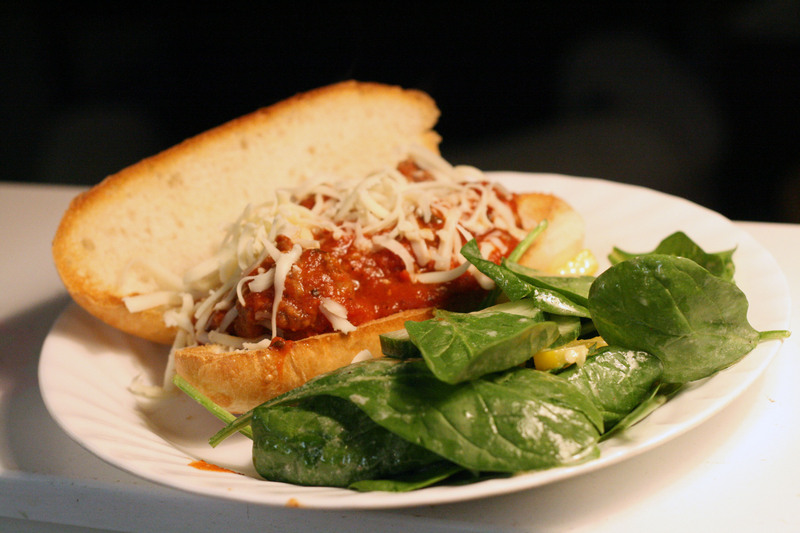 Think beyond spaghetti sauce to sweet and sour meatballs with stir-fried peppers over rice, meatball sandwiches, meatballs in brown gravy over mashed potatoes, barbecue meatballs, meatball stroganoff, and meatballs tossed with pasta, cheese and roasted veg. Combine all ingredients in a large bowl and mix. This is usually best done with your hands. I often make 3-5 pounds of meat at once, just multiplying each ingredient by whatever number of pounds of ground beef I have. 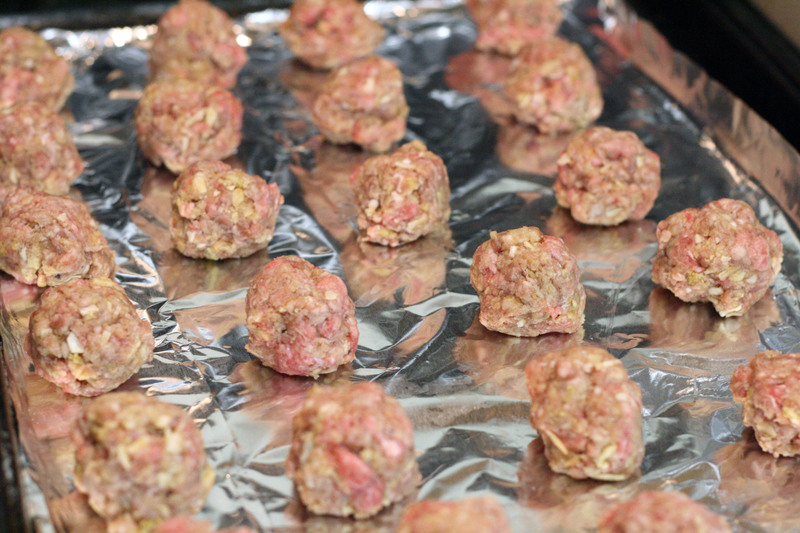 Line baking sheets with foil and place meatballs on top. I use a cookie scoop to scoop out one to one and a half inch meatballs. Bake the meatballs at 350F for about 15 minutes or until cooked through. Allow to cool. Freeze or enjoy right away. I usually plan on a pound of ground beef per meatball meal for my family of 6. Meatballs!! I was just thinking about how much I want to eat meatballs today!! Wow, I must make these =P Thanks, guys for the simple and delicious meals which also look fantastic. LOVE THEM! !